Hakone, Japanese pampas grasses and the active volcano, Owakudani Valley | Why don't you go on a trip to Japan? 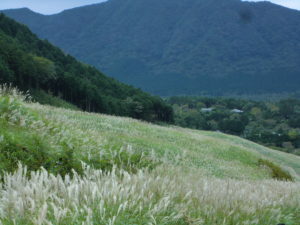 Large number of pampas grasses fill on slope of mountains with swaying in the wind and it looks so gorgeous. In the center of the pampas grass field, there is a passage up to the slope of the mountain so you can walk in the field. It takes about 30minutes on foot in return. 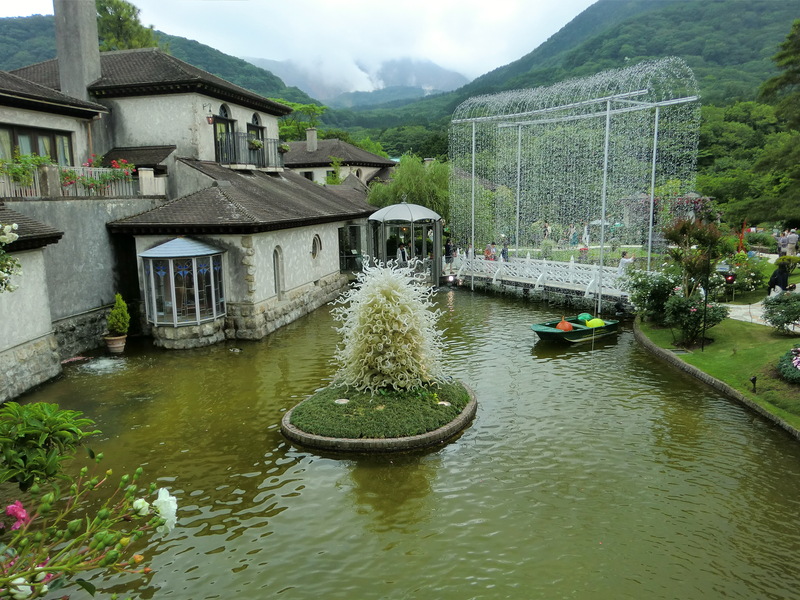 Usually you can view pampas grass in Hakone in September to the end of October. 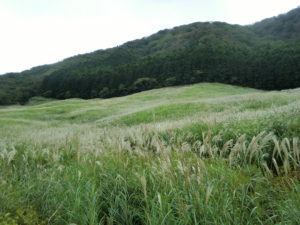 In order to keep an appearance of grass land, the grass burning is held at a day without wind in spring season. After burning, pampas grasses grow by every August. In September, you can see green pampas grasses and the color changes to gold in October to November. 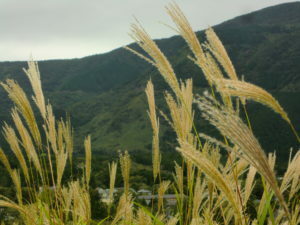 Why many pampas grasses are in Sengokuhara, Hakone? What is it for use? 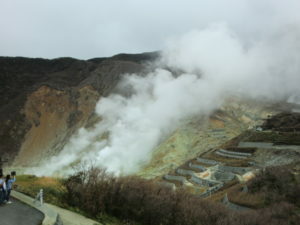 The land of Sengokuhara area was made by the volcano activity about 3000 years go. When the mountain erupted、landslide was happened. After that, people live there but they have no success to harvest. Because of land quality. 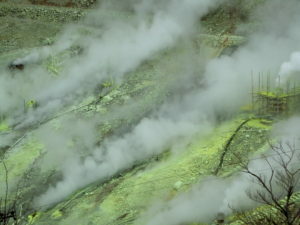 Marsh is there and the land contains volcanic ash. The people gave up agriculture to make grain and grow pampas grasses. In ancient time, pampas grasses were used for material of thatched roof. It might be important for people in life. 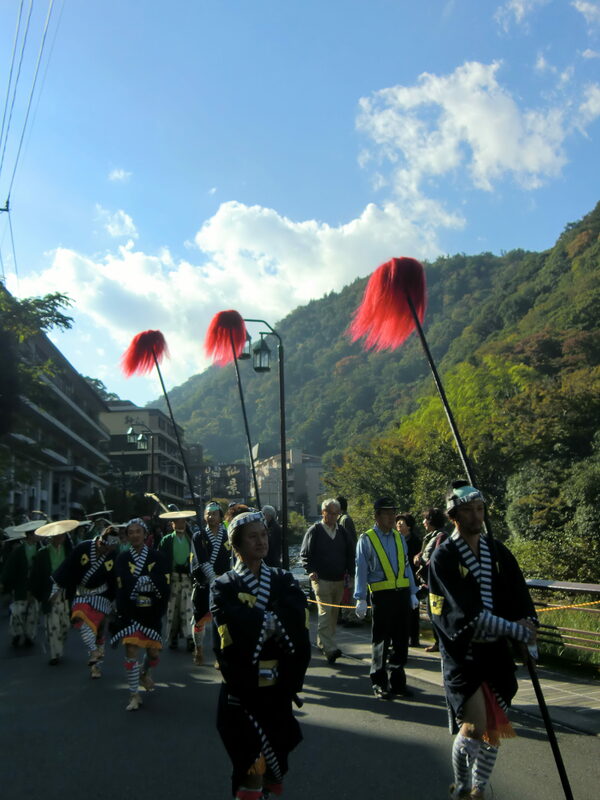 Next place to visit is Owakudani valley. You can realize volcanic activity closely. I took a bus at Sengokuhara bus stop and got off at Togendai terminal which takes 10minutes by bus. As you may be aware, Owakudani had small eruption in 2015 and banned to enter around the area with alert level 2. But now you can visit the valley from July 2016. 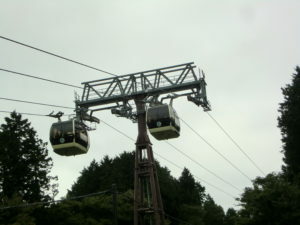 You can take ropeway (cableway) to visit Owakudani (or by a car). I took that at Togendai ropeway station. It was great view in the gondola. If it is sunny there would be Mt.Fuji. Arriving at Owakudani station I found volcanic smoke and smell. Large amount of smoke is there from some craters and I realized that is eruption. It might be very rare to watch active volcano very close even in Japan. Black boiled eggs, which is made by hot springs, are quite unique. You can eat it only Owakudani valley. I missed it due to long queue for buying eggs. There are restaurants, souvenir shops and geo museum nearby rope-way station. 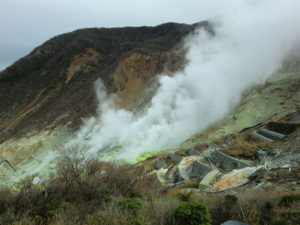 Hakone is designated Geo Park in 2012. 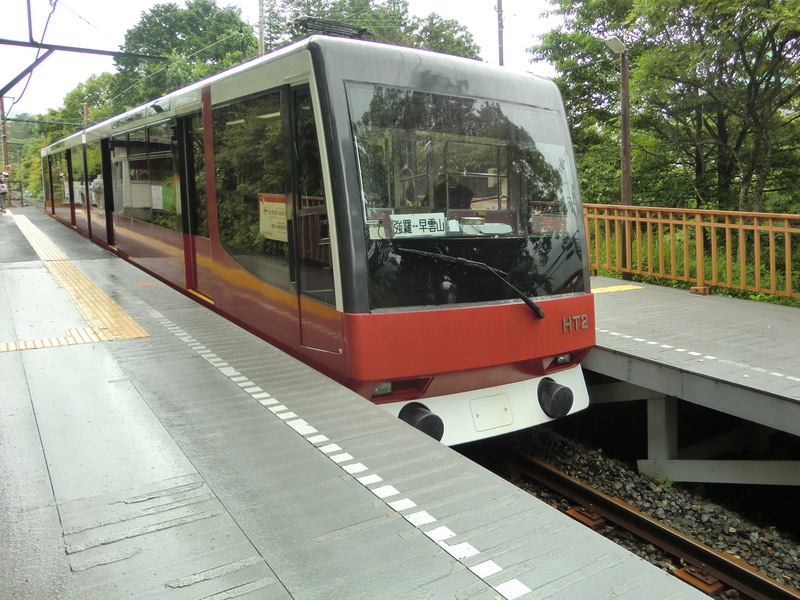 If you visit to Hakone, excursion ticket would be affordable because there are some kinds of transportation such as rope-way (cable-way), cable car, train, bus and boat in Hakone. Odawara Station (Transfer Shinkansen line, JR line) or Hakone Yumoto Station (Transfer to Odakyu line from Shinjyuku) are the gateway to Hakone. 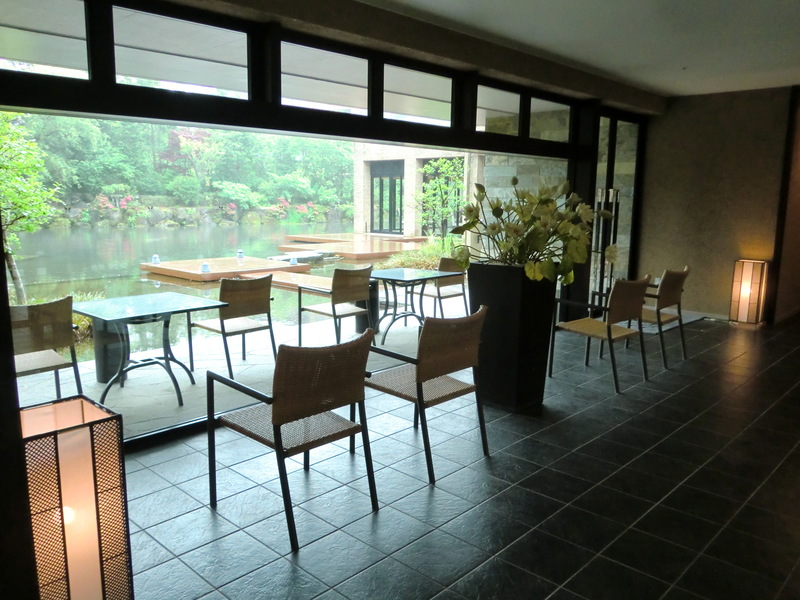 One day trip would be OK but you can stay traditional inns with hot springs in Hakone. Odawara Station (Shinkansen line, JR line,) to Hakone Yumoto Station. Odakyu Hakone highway bus: Tokyo St. Shinjyuku Sta. Yokohama, and Haneda Air Port. *Due to the volcanic activity, you might not be able to enter the area, please check website in advance.